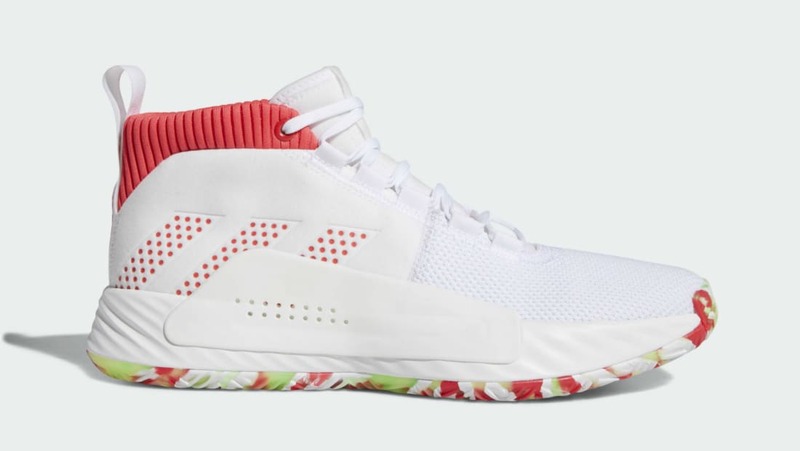 Adidas Adidas Dame 5 "All Skate"
Inspired by one of Damian Lillard's favorite off-court activities, the Adidas Dame 5 "All Skate" sports a split white leather and mesh upper surrounded by red accents seen on the 3-Stripes branding on the lateral side. Completing the look is a white Bounce-cushioned midsole and a multicolored outsole. Release date is Feb. 1, 2019 at a retail price of $115.